Also for pencil, charcoal, pastels, pen and ink. Translucent, 100% rag. 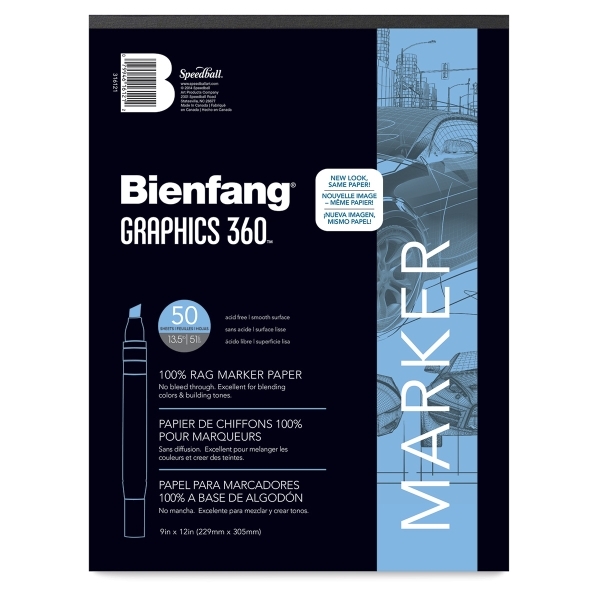 No bleeding, retains true color with permanent and watercolor markers. Weight, 13.5 lb. 50 and 100 sheet pads.